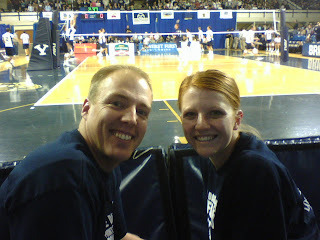 Thanks to Facebook and the Front Row Fanatics group we were able to win front row tickets to Saturday nights BYU mens volleyball game. It was a lot of fun, but as you can see we were directly lined up for any balls that went a little too far. It definitely kept us on our toes. 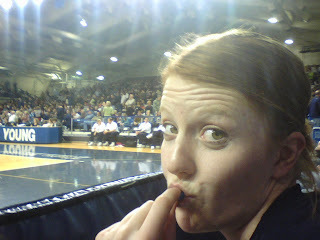 And because we were right behind the players we were able to taunt the opposing team thereby making it so that BYU won!